Escape From Eden was named a finalist in the 2009 Next Generation Indie Book Awards in the First Novel and Religious Fiction categories. 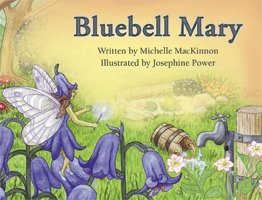 Bluebell Mary was named a finalist in the Children's Picture Book category. For bulk orders and wholesale rates please contact Michelle MacKinnon. To read a short story by Michelle Mackinnon click below link. Photographic Memories was published 2009 in the 4th Floor Literary Journal.